The HC49/SMD crystal is a low profile surface mount crystal using an AT-strip crystal blank. Used in microprocessor, computer and computer peripheral applications. The HC49/SMD offers tolerance and stability to ±10ppm, with temperature ranges to -40o to +85oC. A small height of 3.5 or 2.5 mm optional. 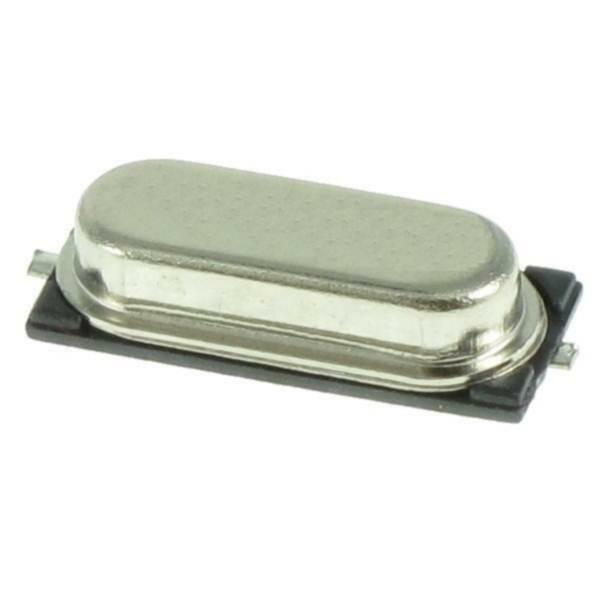 The HC49/SMD is available in fundamental and 3rd Overtone. All Products meet the European Union Initiative (RoHS) for lead (Pb) free content and requirements for re-flow profiling using lead-free solder. Temp ranges: -40o to +85oC.